A long time ago, I did a set of kitchen prints that sold through Country Living Magazine, and I'm still getting letters about them. So we thought it was time to release some more. 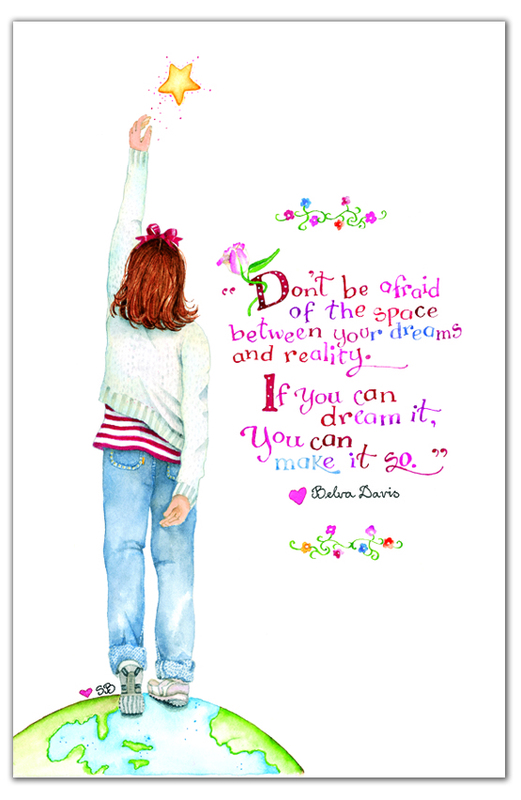 The inspirational quote from Belva Davis reads, "Don't be afraid of the space between your dreams and reality. If you can dream it, you can make it so". Printed on acid and lignon-free cardstock. This print is 6.5" x "10".